Like parent, like child-adolescents engage in at least one unsafe contact lens habit at a much similar rate as adults, claims a new report that emphasizes the need for proper contact lens hygiene. Published Aug. 17 in the Centers for Disease Control and Prevention (CDC) Morbidity and Mortality Weekly Report (MMWR), the population-based survey found adolescents (ages 12-17 years) and young adults (ages 18-24 years) reported at least one contact lens behavior that increased the chance of an eye infection, 85 percent and 81 percent of the time, respectively, whereas adults reported one such behavior nearly 88 percent of the time. Although adolescents and young adults narrowly beat out their adult counterparts when it comes to poor contact lens hygiene, all groups can do more to prevent behaviors that increase the risk of serious and sight-threatening eye infections, such as microbial keratitis. In fact, the CDC estimates a higher percentage of young adults (15 percent) and adults (11 percent) report ever experiencing red or painful eyes that required an eye doctor visit than adolescents (4 percent). These risky hygiene behaviors contrast to those most frequently reported by adult contact lens wearers who often replace contact lenses at intervals longer than prescribed (45 percent), replace cases at intervals longer than recommended (23 percent), and swim in contact lenses (33 percent). Young adults mirror these behaviors, with swimming and sleeping in contact lenses equally reported. In 2016, the CDC estimated that 3.6 million adolescents, 7.5 million young adults and 33.9 million adults in the United States wore contact lenses. That’s nearly 1 in 7 adolescents, 1 in 4 young adults, and 1 in 6 adults. Therefore, it’s vital that eye care providers stress the overwhelming importance of contact lens hygiene. Edward Bennett, O.D., AOA Contact Lens and Cornea Section (CLCS) chair and assistant dean at University of Missouri-St. Louis College of Optometry, says it’s important to remember that contact lenses are U.S. Food and Drug Administration-regulated medical devices that rest on living corneal tissue, making it extremely important that the wear and care instructions provided by patients’ doctors of optometry are followed closely. “It also is important that these instructions-specifically ensuring that patients are applying and removing lenses properly, cleaning, disinfecting and disposing of lenses as recommended by their doctor-are reinforced at the one-week follow-up visit with their doctor,” Dr. Bennett says. The AOA vehemently champions contact lens education and safety on behalf of all Americans, which is why AOA continues to support an important CDC health observance. Contact Lens Health Week, Aug. 21-25, is an awareness campaign devoted to promoting healthy contact lens hygiene and safe wearing habits that help reduce the risk of eye infections. As many children return to school this month, the message about adolescents’ contact lens habits seeks to make parents aware of developing and maintaining healthy behaviors. That’s why meeting patients where they’re at-in terms of tone and medium-is a major tenet of the healthy contact lens campaign, and why a CDC-hosted Twitter chat compliments the observance, featuring eye health authorities including AOA and AOA CLCS. Want to participate in the Twitter chat? But that’s not the only way doctors can join this annual dialogue. Additional health promotion resources and materials are available on the CDC website for doctors to participate not only during Contact Lens Health Week, but also throughout the year. 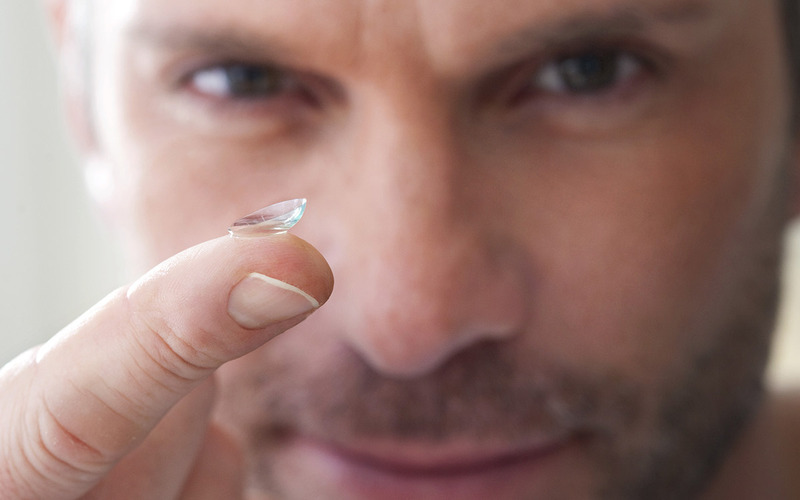 Below are free materials to help promote healthy contact lens habits. Doctors also can refer patients to the AOA’s own contact lens information, available at contactlenssafety.org, where visitors can find contact lens FAQs and an AOA doctor locator search.